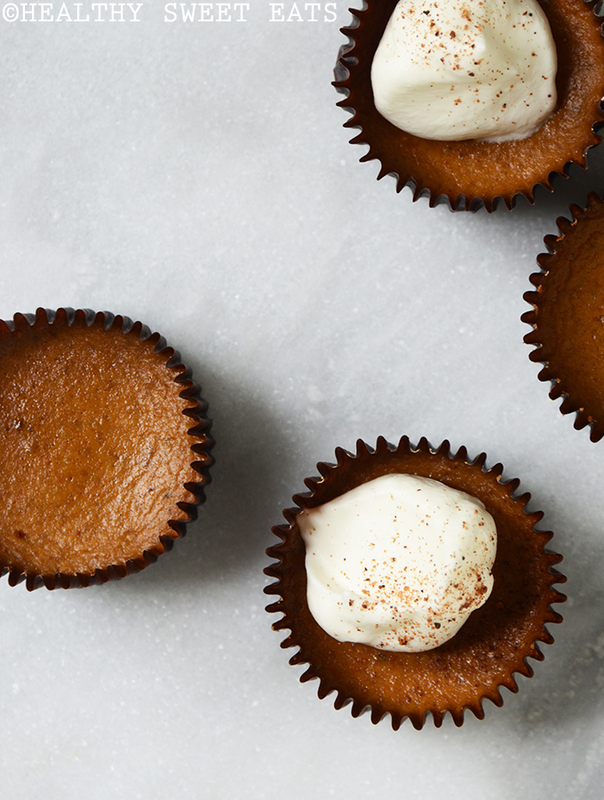 These Individual Pumpkin Cheesecakes are creamy with the perfect touch of spice. They taste like a complete indulgence, but they’re actually healthy enough to enjoy for breakfast instead of just saving for dessert. As I whip together cream cheese and pumpkin, I watch as the whirring beaters swirl white and orange together until they’re a creamy golden color. The rich, heady aroma of warm spices hits my nose and with it, memories of holidays past waft through my mind….